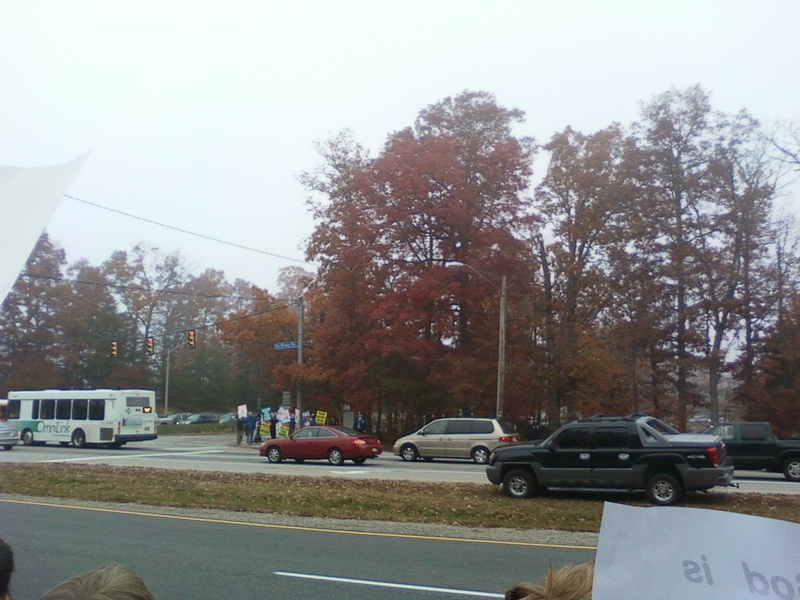 The above are pictures of Westboro Church picketing at Woodbridge High School in Prince William County. Their message was small and full of hate. Six of their members showed up to demonstrate against high school students because, “God does NOT love everyone and it is NOT OKAY to be gay” (http://www.godhatesfags.com/schedule.html). 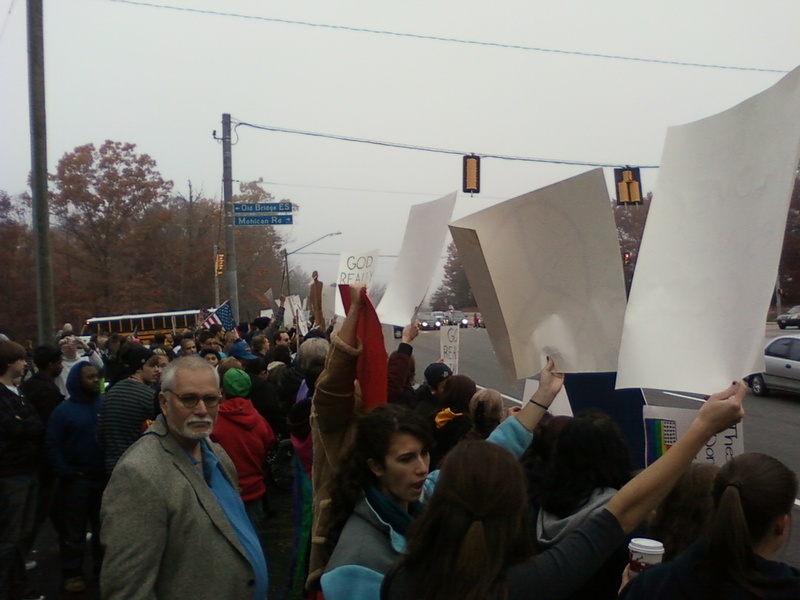 Rachel, myself, and 400 other agitated people showed up to counter their hate fest with love. Many of the counter protesters held signs that said, “God loves everyone….God doesn’t hate….Love your neighbor as yourself…” This “church” is a stain on the Bride of Christ. Please pray for the students of Woodbridge High School, they have their first FCA huddle meeting this Wednesday and I am sure there will be some backlash towards Christians on campus.